The phenomenon of BLACK ASTROLOGY embodied in entwinement of the pulse of the Universe and the Ancient occult knowledge is formed back in 2003 by ingenious St. Petersburg musicians Zel (guitar bass) of MESSA and BESTIAL DEFORM and Nick (lead guitar) of KOMA. Soon Kill (vocals) with his primeval growls joins BLACK ASTROLOGY and contributes to the black/death metal foundation of the band. 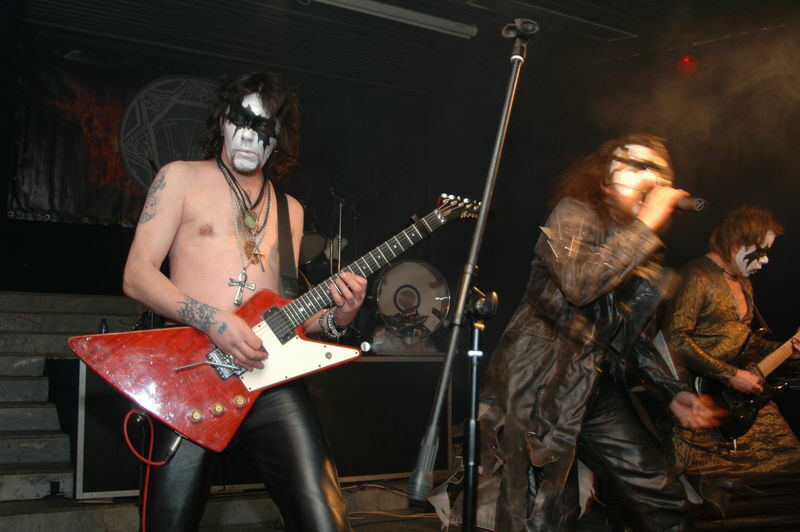 The debut titled "Kingdom of Ghosts" is released in 2005 a.d. Music based on raw chainsaw-buzzing guitars passes away like blizzard heading for distant and dark worlds of the infinite space accompanied by receding scream of the maniac named Kill. This album is released in CD format by Taiga Sounds (Russia). The second album is recorded in 2011. As it happens, "Abyss of Chaos" is released 7 years after � in 2018 � by More Hate Productions.